HELP!!! 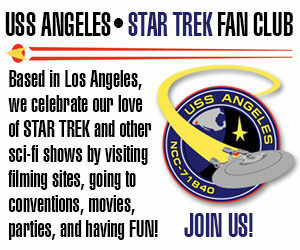 Major STAR TREK FAN FILM BLOG SITE needs YOU! Do you have a few extra minutes…maybe an hour or two? Would you mind doing a little typing in the service of Star Trek fan films? If so, then the blog site STAR TREK REVIEWED needs YOUR help! I can honestly say that Fan Film Factor would likely not exist were it not for Star Trek Reviewed. Started back in 2009 by uber-fan BARBARA READER, her humble website quick grew to enormous proportions, containing resources and information about nearly EVERY Star Trek fan film. In fact, I’m not sure I’ve ever found a Trek film that wasn’t already somewhere on Barbara’s site. You think I’ve covered a lot of Trek fan films here? I’m just peanuts compared to an outfit like Star Trek Reviewed! What Fan Film Factor does that STR doesn’t is provide the “deep dives” into each production…histories and interviews (both text and audio), closer looks at the producers and their projects, and don’t forget editorials. In many ways, the two sites complement each other perfectly to provide a wonderfully full coverage of fan films. Last year, after doing all the work to maintain and update STR by her lonesome for nearly seven years, Barbara grew her team to five individuals from all across the planet—keeping fans apprised of the latest fan project releases. (How DO they do it!?!?) And now they’re looking for a little more help…possibly from YOU! When Barbara started the site, it was hosted on Google’s Blogspot service. While a great tool for beginning bloggers, Blogspot still has its limitations in terms of content layout capabilities and not being able to have the URL StarTrekReviewed.com (instead, they are startrekreviewed.blogspot.com). The team is currently working to change that. They’ve undertaken the gargantuan task of taking all of the pages from the current blog site and porting them over to a new domain with a cleaner layout. Along the way, they’re testing old hyperlinks and clearing away those that are no longer valid. It’s not rocket surgery. In fact, it’s relatively easy work to do (they even created instructions and are happy to help walk volunteers through the process until they’re comfortable). But it is time-consuming…especially if you’ve got a team of only five people doing all the work. If we get a volunteer who puts in an hour a week on this alongside the rest of us, we’ll get migrated to the new site a long time from now. If we get a volunteer who puts in ten hours a week on this (or ten volunteers who each do one hour a week), we could have the new site completely ready to go very soon. We will take any help we can get! It’s a daunting task, but one that (we think) will be worth it in the long run, because it will make the Internet’s most comprehensive and current database of Star Trek fan films a clean, clear structure the entire community can use. If you’ve been wanting to get more involved in the world of fan films and really make a difference, here is your chance! No skills are required. You just need an internet connection, a keyboard, and a willingness to diligently copy data from one source to another. If you’re interested in helping STR take its next big leap forward, please write to the team at startrekreviewed@gmail.com. Thanks Jonathan, I just emailed them. I think this is a great opportunity to make a positive contribution. I’m hopeful I can help out. Thanks but no thanks. Like the fan films that broke CBS/Paramount’s rules, the site has become nothing more than ornamental and non functional. I would like to point out a clarification to what Blue Thunder said. Prior to the release of the guidelines from CBS/Paramount, NO fan film EVER broke any of their rules…since there weren’t rules to break. If next week, a law is passed outlawing snarky comments on blog sites, Blue Thunder’s snarky comment today is not in violation since the rule doesn’t exist at this moment and no one could reasonably anticipate it coming. And by the way, the special Star Trek Christmas tree that my wonderful wife sets up for me each year (we have another tree in the livingroom) is “nothing more than ornamental and non functional.” And yet, I love it so much. And I love her for going out each year to buy the latest Trek ornaments from Hallmark for me…even though she couldn’t care less about Star Trek or sci-fi. She knows I love it, and I love her. And so she does this for me out of love…which is, coincidentally, why the Star Trek Reviewed folks and I create and maintain our websites. I seem to recall that Axanar and to some extent Star Trek Excalibur violated those rules established by Paramount. In the case of the latter, it involved trying to make a profit from selling the uniform boots. SMH. James Cawley was right in his analysis about fan films turning into bad competition. It also re-enforces the fact that Star Trek has run its course. Fault on the fans and fault on the executives at Paramount. The former poisoning the wells and not playing nice in the sandbox. The latter taking too many trips to the well. What rules established by Paramount, Blue? Paramount never established any rules–at least nothing that was ever officially announced–prior to June of 2016. That you can’t make a profit off of a property that you don’t own. A foolish stunt that Alec Peters, David Gerrold, and Axanar did. That was never an official Paramount rule prior to the release of the guidelines in June of 2016, Blue. It was never announced or written down anywhere. Please keep to the facts, or I won’t be able to approve your comments…because it’s exhausting correcting the misinformation. Previous Previous post: Can the SPACE COMMAND Kickstarter make it to $80,000? Next Next post: Another SIX fan films in the MINARD saga from VANCE MAJOR…all in just 30 DAYS!